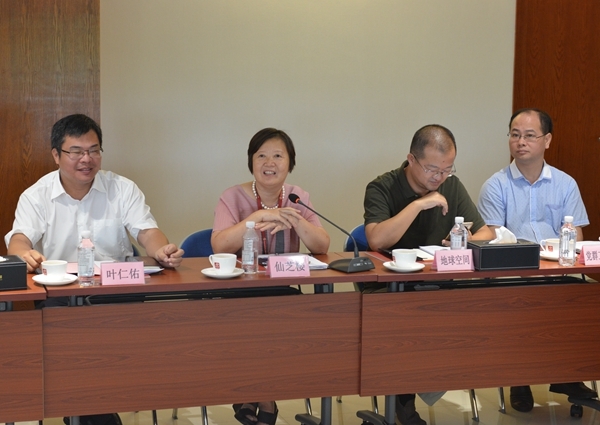 On the morning of September 7, Hong Jiexu, Vice Chairman of Fujian Provincial Political Consultative Conference, led the research team to conduct a survey on [Optimizing the Business Environment" and [Proposing to Promote the Precision Matching of Inclusive Finance for Small and Medium Enterprises" in Fuzhou High-tech Zone. The research team visited a number of companies including GANOHERB and held a symposium at GANOHERB's headquarter. 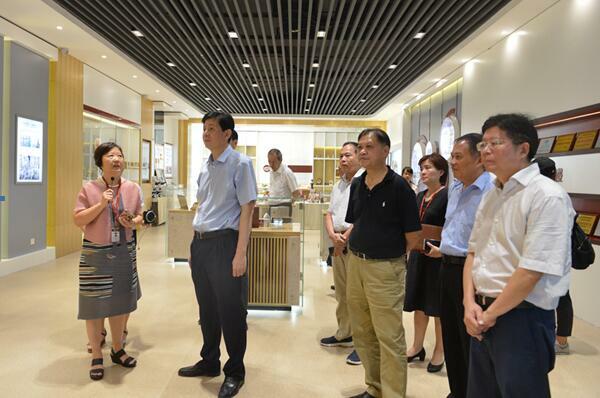 Lin Hengzeng, Vice Chairman of Fuzhou Municipal Political Consultative Conference, and Ye Renyou, Deputy Secretary of the Party Working Committee of Fuzhou High-tech Zone and Director of the management committee of Fuzhou High-tech Zone, accompanied the relevant leaders during the visit. 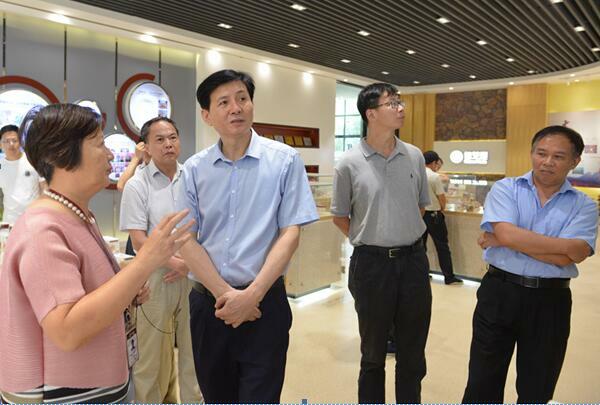 Accompanied by Li Xiaoyu, Vice President of GANOHERB group, the research team visited GANOHERB Ganoderma Lucidum culture exhibition hall and learned about the construction of the Ganoderma lucidum base, cultivation technology, Ganoderma Lucidum growth cycle, reishi spore breaking technology, etc., and inquire the efficacy characteristics and market conditions of various Ganoderma lucidum products in GANOHERB in combination with current health topics. 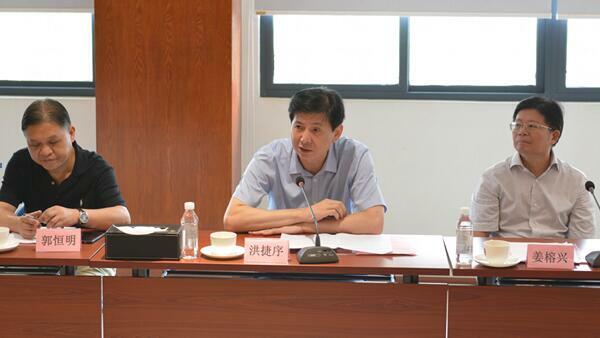 In the following discussion, the visiting representative enterprises successively expressed Fujian provincial and municipal government departments have created an efficient and transparent government environment, a relaxed and orderly market environment, a win-win open environment, a diversified stable financing environment, and a fair and just legal environment for the enterprises. They made suggestions on the difficulties of financing loans, attracting talents and high management costs met by small and medium-sized enterprises under the current market environment. 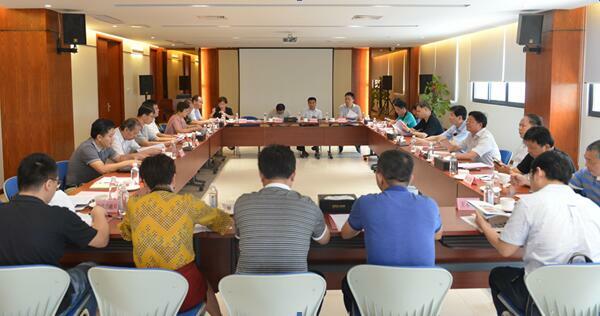 In this regard, Vice Chairman Hong Jiexu said that they will seriously study the issues that need to be resolved through coordination, and supervise and handle them through key proposals, and do their utmost to crack the difficulty of financing and the high costs in financing for small and medium-sized enterprises, and better play the role of the real economy and boost the economic transformation and upgrading of Fujian Province. At the same time, he also hoped that the high-tech zone can focus on creating an entrepreneurial environment that attracts talents, enhance the city's comprehensive strength, build a scientific, convenient and efficient first-class business environment, attract and serve more powerful enterprises like GANOHERB which makes basic research and devotes to conscientious quality Reishi Mushroom products.